In this month's newsletter we explain which processor you should be looking for when you are making your next computer purchase and we have an interesting article covering the top health technologies to watch in 2014. When buying a new tablet, laptop or PC you don't have to be an expert to buy the right processor; you just need to know the basics. Is Intel the only brand I can get? What is the difference between Core i3 and Core i5? We explain the jargon in this must read article! 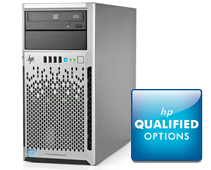 HP ProLiant ML Servers are flexible, expandable tower servers that are the ideal choice for remote/branch offices, providing maximum performance for current requirements and expansion for future growth. Boost the power, performance and reliability of your HP ProLiant Server with top-notch memory, storage, rack and power options. For a limited time access fantastic pricing on HP ProLiant ML310e Gen8 Servers plus collect a 10% cash-back capped at $500. A very interesting article appeared recently on www.mashable.com announcing the top health technologies to watch in 2014.